Vielen Dank für dieses gelungene Tutorial. Werde ich am WE versuchen. Wenn man sich die Grundkonfiguration einmal nach dem Schema eingerichtet hat, müsste man soch immer nur den aktuellen Quellcode laden und komplieren, oder? Sag Bescheid, ob es geklappt hat. Ich habe damit 2.6.8 und 2.6.9 kompiliert, sollte also mit neueren Versionen ebenso funktionieren – es sei denn, es kommen (z.B. mit 2.7) neue Abhängigkeiten dazu. Das sollte sich dann aber auch recht einfach fixen lassen. habe soeben Gimp 2.7.1 kompiliert. Das Tut ist also up2date. Einzig intltool muss man uptöten. kann man sich dann nicht das lästige rumkopieren sparen? Starten tut auch dieses Gimp leider nicht auf diesem Rechner, er bringt wieder den libcairo-2.dll Fehler. Compiler at compile GEGL without success. Did not produce the required documents (. Lib which do not file). what will I do? Ingo: Den libcairo-2.dll Fehler hatte ich nicht, welches Windows läuft bei dir? lvxing: Can you give me more context messages where the errors are occuring? I want to use GIMP to do a software. The software will support handwriting function. When opening the software, I can use a pen or a finger painting on the computer screen. But I do not know the GIMP source code, you can give me some advice? ** WARNING**:Failde to det operation type gegl:nop,using assthrough op instead. **:WARNING**: The failing op was ‚gegl:nop‘ this means that GIMP was unable to locate any of it’s plug-ins.Try making GIMP_PATH point to the directory containing the .so|dll files with the image processing plug-ins, optionally you could try to make to point to the operations directory of a GEGL sourcetree with a build. I am a rookie.please help me. lvxing: Can you post the entire output while building gegl using a service like http://pastebin.com/ ? I’m sorry. I can not. The first time I heard „postebin“. I just read something about it,but I still do not know how specific should I do? Warning:This system can not link to static archive ../../gegl/libgegl-0-1.la. lvxing: Sorry, I cannot reproduce your error. Compiling babl worked for you? You can try to use ./configure --disable-docs before compiling gegl as stated here. Thank you all the same. I try it.I have done.But there is a new issue of making the GIMP. what is the reason causing this error? Have you tried compiling an older version, e.g. 2.6.8 ? I try it (e.g.2.6.8). The same error. lvxing: Why is there still 2.6.9 in the path? Which version of Windows are you using? When I make install it,I did not get libgimpcongfig-2.0.dll.a. I’m not sure what you are doing wrong. Everything you need should be described in my post. And yet again my question: Which version of Windows are you using? I down libgimpbase-2.0.dll.a from the internet. I down libgimpcolor-2.0.dll.a from the internet. but I can’t find libgimpconfig-2.0.dll.a from internet. I don’t what I can do ? configure: error: Your intltool is too old. You need intltool 0.36.3 or later. Hi Nick, schau dir zu diesem Problem den Kommentar von „herrgismo“ an (Nummer 3). Kannst Du das in der Anleitung noch nachtragen? Scheint ohne nicht zu laufen. Super Anleitung, vielen Dank für die Hilfe. Nick: Ist nun in der Anleitung nachgetragen. Danke für Deinen Hinweis! thank you for an excellent guide. I also updated the excellent „CompileGimpAtWindowsShellScript“, referenced in thread http://www.gimptalk.com/forum/viewtopic.php?f=2&t=45857&p=358330&hilit=compile+on+windows#p358330. It returns exactly the same error. referencing symbols from auto-imported DLLs. VMWare virtual machine and tried both GIMP 2.6.9 and 2.7 – same result. I follow your instruction steps, but has the same problem as them. Can zip your MInGW folder and share it to us, I think it will help us to compile GIMP-2.6.9 successfullt. super Tut bis hier hin. Wenn ich allerdings versuche intltool upzudaten wird gemäckert, dass perl 5.8.1 required wird. Ich habe aber zuerst die aktuelleste Installiert und dann später noch die in deinem tut verwendete. Kein Erfolg leider. Hast du vielleicht einen Tip? Sorry, no idea – which exact version of babl and gegl did you use? Are you sure you set your PATH-Variable right? What happens when you type „perl -v“ into MSYS? Finally i got it working. I had to fiddle arround with that perl stuff. MSYS has had an older version of perl as my windows installation. Is it possible to compile 2.7 with your guide? Can you tell us how exactly you solved the problem with the older version? I think the problem was, that i used the x64 version of perl which installs it self into c:\perl64 so the PATH variable was set wrong. 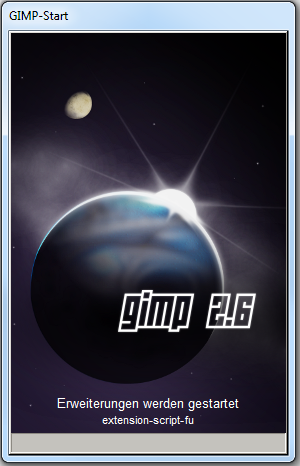 At the moment gimp 2.7.1 compiles. Unsing „make -j11“ made it very fast on my XEON L5640. Now there is another Problem, after compiling i can not start gimp. i get an error massage that says: g_maloc0_n have not been found in libglib-2.0-0.dll. ?! Ok, again i finally made it. i have had an old version of libglib-2.0-0.dll on my machine. For distributing i had to copy nearly all of the dlls from mingw/bin to gimp/bin. Now it seems to work on other machines either.